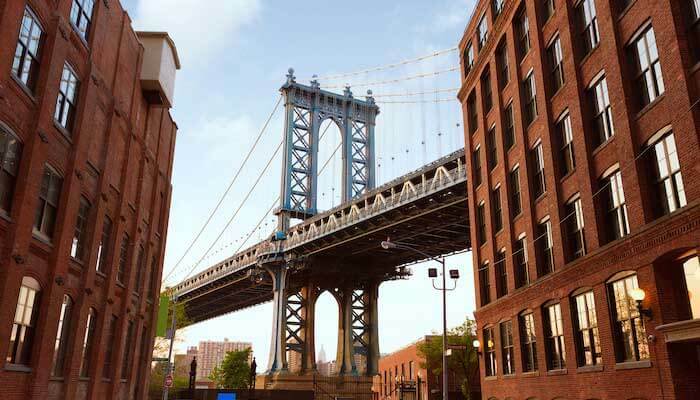 The biggest of the five boroughs, Brooklyn is conveniently located between all three major New York City-area airports. Whether you're flying out of Newark on business or returning home to JFK, arriving on time is a must - and that can be difficult with airport traffic. That's why ETS is here for you. Reserve your next Brooklyn car service with us! From weddings to night on the town to an airport shuttles, an ETS car service in Brooklyn is ready and waiting. When you need Brooklyn car service to the airport or throughout New York City, there's simply no better choice than ETS Airport Shuttle. Here at ETS, we pride ourselves on our reliability, affordability, and excellent customer service. We understand the stress that comes with flying into or out of major airports like LaGuardia. Our experienced drivers will take care of everything while you enjoy a hassle-free and relaxing shuttle ride to your destination. ETS offers New York airport shuttles from LaGaurdia and JFK to all points in Brooklyn, including Park Slope, Bay Ridge, Williamsburg, Greenpoint, and Clinton Hill. Contact us for more details on booking your Brooklyn airport shuttle today! Besides airport shuttles, our Brooklyn car services be used for special events: weddings, conventions, corporate outings, dances, concerts, sporting events, and more. It's the best group transportation available in Brooklyn, Long Island, and NYC! Check out special events in New York and reserve your next shuttle with ETS. Visit the Brooklyn Botanic Garden, Prospect Park, or Coney Island with the help of ETS Airport Shuttle. Or reserve academic transportation to high school events and functions, or university shuttles to Brooklyn College, St. Joseph’s College, St. John’s University, Pratt Institute, and more. Check out our services page, pick a ride, and get started booking a reservation today. Your Brooklyn airport shuttle is ready when you are!